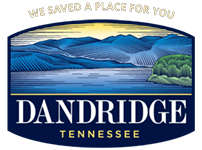 Dandridge’s Mayor and Aldermen are the elected officials that make up The Board which appoints a Town Administrator, a Recorder, a Town Judge, and a Town Attorney. The names of the administration staff and department heads are listed below. Directs and supervises the administration of all departments, offices and agencies of the Town. Manages the Field of Dreams. Oversees all building/development for the Town. Manages the Town’s payables and employee human resource needs. Manages the Town’s Police Force. Oversees streets and public areas. Advises The Board on all legal matters and directs the management of all litigation. Process records and payments for municipal court. Acts as the Town’s Treasurer, Risk Manager and keeps the records of the Town’s proceedings. Manages the Water Management Facility.